J. Arthur “Bucky” Reynolds II officiated at every major horse show in the U.S. and has trained and ridden winners from New York City’s Madison Square Garden to the winter equestrian mecca of Wellington, Florida, and hundreds of events in between. For more than five decades, he was a leading figure and frequent champion on the nation’s hunter-jumper circuit. Bucky’s horse show achievements range from hunters to jumpers, from championships in the hunter divisions at the National Horse Show to winning the Grand Prix of New York. His historic champions are a Who’s Who list in the hunter division including Henry the Hawk, Roman Lyre, Square Lake, Stocking Stuffer, Gabriel and Gozzi, whose rider Bernie Traurig stated was the best hunter he ever rode. Bucky was selected for the National Show Hunter Hall of Fame in 2017 and honored at a ceremony at the Devon Horse Show near Philadelphia in May. He joined his late father, J. Arthur Reynolds Sr., and his sister, Betty Oare of Warrenton, both previous Hall honorees. 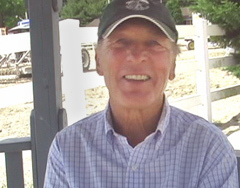 All three, as well as his brother-in-law, Ernie Oare, are also in the Virginia Horse Shows Association Hall of Fame. They’re often referred to as their sport’s royal family. Sadly, Bucky Reynolds passed away at the age of 78 in July of 2017.